I have said this before and I'll say it again. My 25th 5HH BFR Rosewood Neck has ruined me for so many other basses. Punch, definition and tonal options for days. Comparison to my previously owned Maple necked EBMM's I find the Rosewood has more of a Piano characteristic to the low B and also a more even sound across all strings. I found it to have more of a warmer and rounder tone to my SR5, but still able to growl very easily. I recently attended a Bass GTG a few weeks back where a local EBMM rep had brought along a standard 25th 5HH with Maple Neck and Rosewood board. Both very special basses in their own right, but the consensus at the GTG was that there was something in the tone of my 25th BFR 5HH that gave it a significant edge over the other 25th. - The Rosewood 25th had definitely more mid presence and a nice growl that was very transparent. I'd say if you have the opportunity to own a Rosewood Neck EBMM, then go for it. I can't see you regretting the decision. If you find for any reason that you don't bond with it, it will always be a desireable instrument in the marketplace. Hey thanks for sharing the info and story. The rosewood neck just looks like it would be amazing.. I am working on this and hope to pull it together and be the owner of this rosewood BFR ray! have you ever barefooted on a untreated douglas fir floor? if you havent you should try it because the floor feels warm, even if it is cold outside.. I'll be #2 in line! The all rosewood necks are ridoncolous! They feel like pure unadulterated awesome in your hands. Yes, fingers crossed you get it mrfstop - and if not give the coordinates to Matt - this BFR soooo should end up within the forum. but gotta love it good ole G.A.S. I REALLY want to add this one to the stable. Working it out, hope to be the new owner? 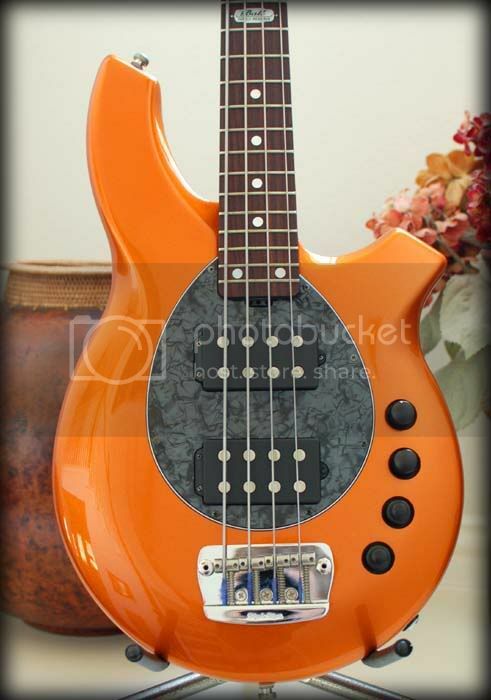 I also love this bass...gearhunter is one lucky guy to own this baby!! 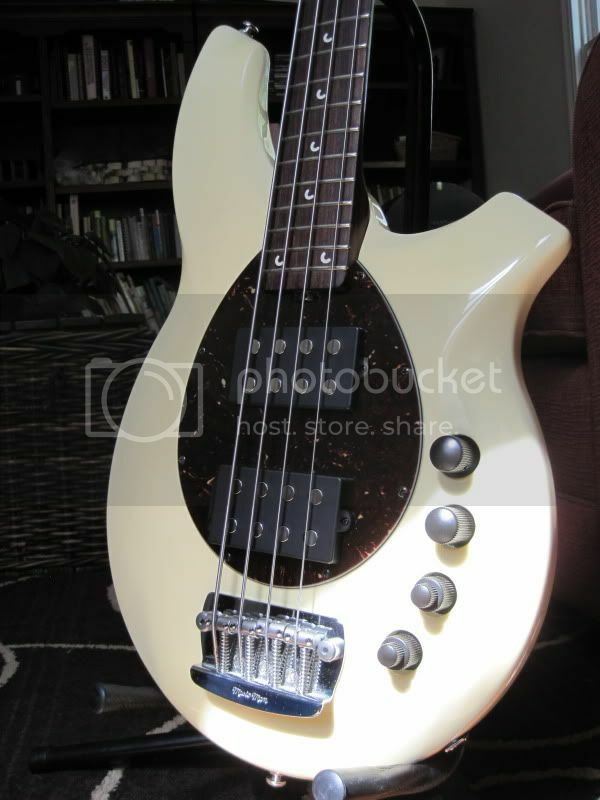 A Bongo in Buttercream with a rosewood neck???? EI YI YI.....one serious bass! Good basses. The back of the neck feels a little different at first, but once I start playing it, I really don't notice any difference in feel. I think - I could be making this up entirely - that it does have a little extra oomph in the mids from the rosewood neck. This one might be FS in a bit. I still have to think about it some. It's one hell of a piece, but I have another 4 string Bongo HH (the Flaming Biff) so it's redundant, not that this ever stopped me before. so it's redundant, not that this ever stopped me before. +1 to those two lines!! hahahaha!! cracked me up! Pm me if ya decide to roll this bongo. I think this is the same one I was stalking in the for sale thread when you snagged it first. And I mentioned letting me know if ya ever roll it. 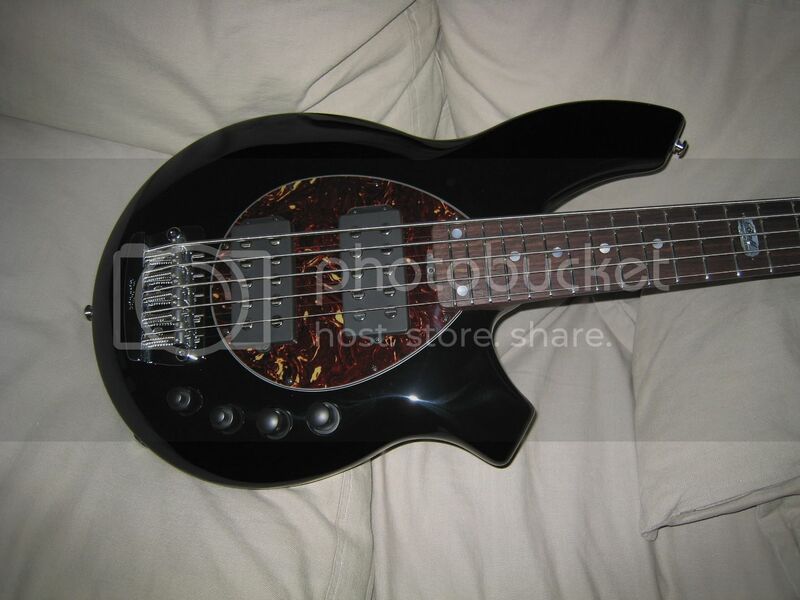 If I am unable to let go of any basses to fund it, Maybe I can go donate some organs or something? hey man, kick a*&^% pic by the way...working on those photograph skills I see...impressed! Best bass ever, but real hard to photograph.